This is CSJ USB Application Form. Personal information received will be strictly handled according to "Personal Information Protection Policy". ※ If the application is from a laboratory, use the manager's name. ※ When applying for personal use, enter a home address. In other cases please use your organization's address. The Student use is for personal use only. Do you plan to make public any subordinate works using the original corpus? Input if the person contacting us is different from the primary user above. Check 'Same to user' if same. 'The subject of the contract' is the registered holders in the contract form. The organization name should be assigned as the registered holders in the contract form. Input if the subscriber entering the contract is different from the primary user above. Check 'Same to user' if same. Input if different from the Billing Name above. Check 'Same to billing name' if same. Input if different from the Contact Details above. Check 'Same to user' if same. 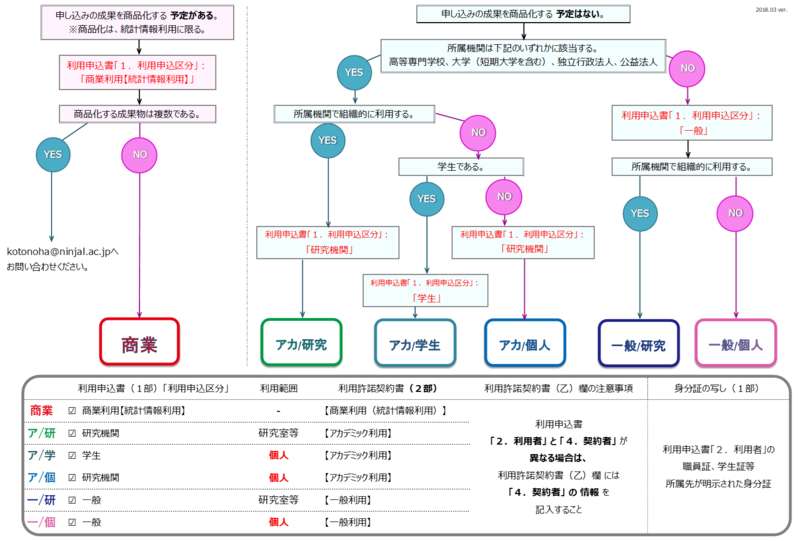 Copyright © National Institute for Japanese Language and Linguistics.